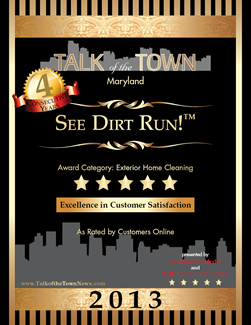 See Dirt Run!™ Inc. of Germantown, MD., published in Pressure Cleaning Contractor Magazine. 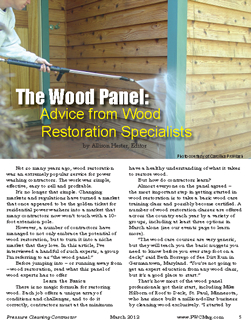 See Dirt Run!™ Inc. President Rod Rodriguez and Vice President Beth Borrego appear in article entitled “The Wood Panel: Advice from Wood Restoration Specialists” published Nationwide in March 2012. Germantown, MD – March 5, 2012 Rod Rodriguez, President and Beth Borrego, Vice President of Maryland based company See Dirt Run!™ Inc. were contacted back in February 2012 by Pressure Cleaning Contractor Magazine and were interviewed for an article on wood restoration for the magazine’s “The Wood Panel: Advice from Wood Restoration Specialists” article. Borrego is quoted throughout the article appearing on pages five through nine. See Dirt Run!™ Inc. of Germantown, MD, a local power washing company specializing in high end wood restoration and wood preservation, has been restoring and maintaining log homes cedar homes, decks, fences and more since 1999. The article focuses on advising new companies on maintenance and restoration issues that all business owners should be aware of. Carolina ProWash, of Graham, NC was mentored by Rod Rodriguez, President, and Beth Borrego, Vice President of See Dirt Run! ™ Inc. and also appeared in the article. Other noteworthy companies including Roof to Deck in St. Paul, MN, Exterior Wood Restoration in Indianapolis, IN, Windsor WoodCare in Plainsboro, NJ, and Apex Deck Savers in Pittsboro, NC were also quoted. Germantown, MD – July 25, 2006 See Dirt Run!™ Inc. of Germantown, MD, a local power washing company specializing in wood restoration and wood preservation, completed a large multi-step log home restoration process in June of this year, in Bethany Beach, Delaware. 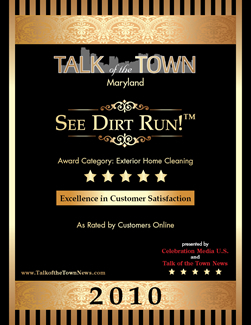 Beth Borrego, Vice President of Maryland based company See Dirt Run!™ Inc. was contacted back in May by Cleaner Times Magazine regarding the job, when the magazine caught wind of the project. 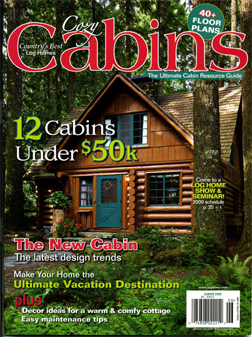 Borrego authored the article appearing as a cover story in the August 2006 issue of Cleaner Times Magazine. 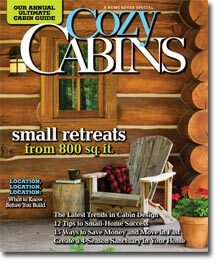 The log home was blasted using corn cob media, then prepped and sealed using a specialized multi-step process. The cedar sided garage was chemically stripped, gently power washed and then sealed. Rod Rodriguez, President of See Dirt Run!™ Inc. led the multi-company project team. Rev. Charlie Arnold, owner of Delaware based company Arnold Powerwash Inc., was invited to participate with his crew on the project. Tom and Barbara Vogel, owners of ACR Products out of Wind Gap, Pennsylvania traveled to Delaware to assist with the project set up. Mr. Vogel delivered one and a half tons of cob media and additional blast pot, and made sure all of the equipment was operational on June 4th, the morning the project began. 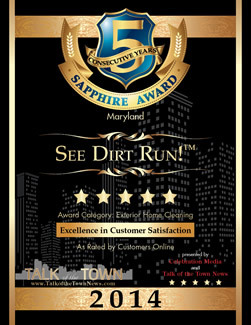 See Dirt Run!™ Inc. is located in Germantown, MD., and has been in business since 1999. 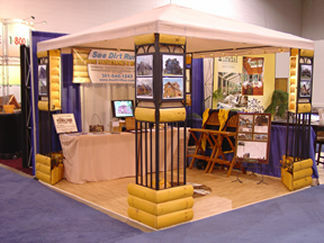 The company specializes in wood restoration and preservation, and is an active certified member of PWNA. See Dirt Run!™ Inc. is also a member of the Better Business Bureau, and operates under MHIC License # 86481. 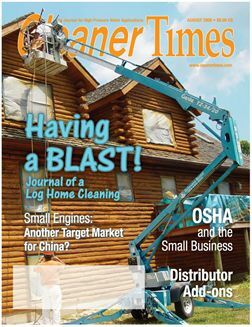 Published since 1989, Cleaner Times is a monthly technical journal exclusively serving the needs of the pressure cleaning/water blasting industry. All Cleaner Times readers are linked in some way to the pressure washing or water blasting industry, either as manufacturers, distributors, suppliers, or contractors. 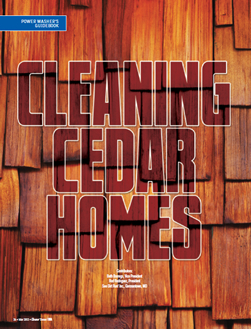 Click here to read the Cleaner Times featured article on See Dirt Run!™ cob blasting services.